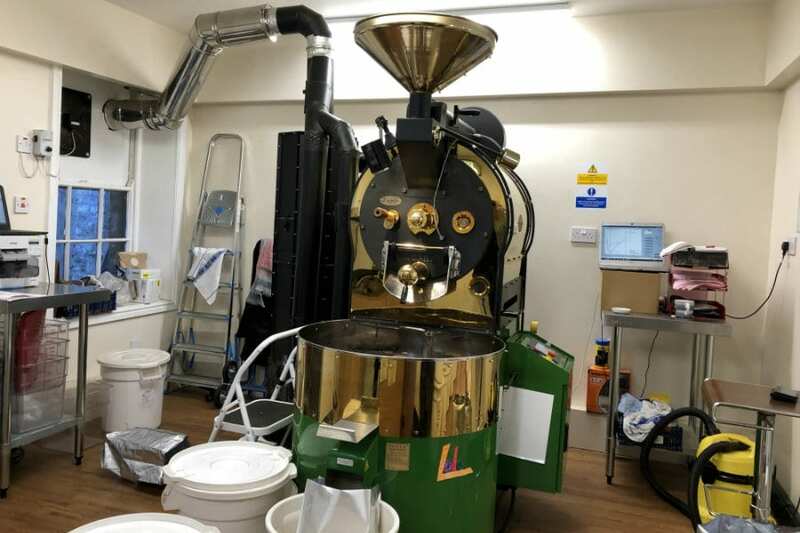 For over 150 years locals and visitors walking through the city centre have experienced the aroma of freshly roasted coffee coming from John Watt’s shop. The original shop was in Glover’s Row in Carlisle, and in 1897 they moved to Bank Street where the shop has remained to this day. During those early days, the shop rent was paid with six cases of dog meat, which was the payment requested by the solicitor’s firm, Bright, Brown and Strong who occupied the office above the shop. 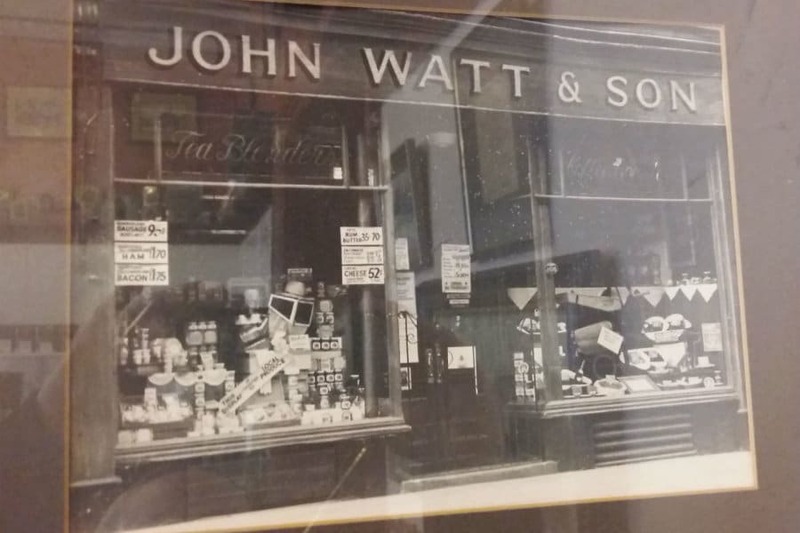 The John Watt shop is so well known that it recently featured in a novel by best-selling crime author Mike Craven. The downstairs floor of the Bank Street premises is open to the public where you can enjoy a cup their famous tea or coffee. As soon as you set foot in the door, it’s like going back in time. You can marvel at old style storage containers and items that have been used in the coffee roasting process. A new shop has opened on Blackfriar’s Street and you can also enjoy the famous local brews at Cumbria’s Museum of Military Life in Carlisle Castle. The freshly roasted coffee is also available for sale at Tullie House Museum, The Shepherd’s Inn and at Cakes & Ale in Castle Street. We asked Mary from John Watt & Son to advise on the making of the perfect hot chocolate as part of our new year Hygge promotion. Here are some pictures of her work using milk chocolate flakes from their luxury range. Once all done, pour into a cup and enjoy. Mary has added cream and marshmallows for that extra luxurious touch. 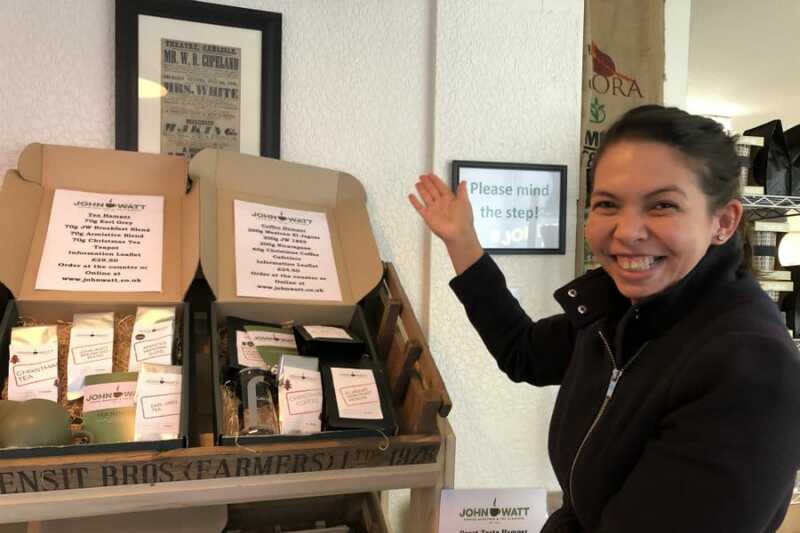 In partnership with a market leading coffee equipment manufacturer, John Watt & Son has added Barista Training to their repertoire where they teach new generations of Baristas how to make and serve the perfect cup of coffee. 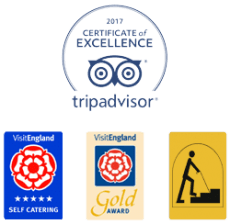 John Watt & Son is one of Carlisle’s best known gems that has delighted generations of residents and visitors alike with their delicious coffee roasts and tea blends. If you’re visiting Carlisle, be sure to drop in for a brew.